Less than a year after CryptoWall 3.0 made its debut on the malware scene, its successor came into circulation. While some things remain the same, crucial elements around the cloaking part of the malware have changed. These alterations have morphed into a new, powerful ransomware strain. The truth is that it’s even more challenging to protect victims against CryptoWall 4.0 than from its predecessor. Our team has recently observed that a new strain of CryptoWall has been released to target users worldwide. 1. CryptoWall 4.0 still includes advanced malware dropper mechanisms to avoid antivirus detection, but this new version possesses vastly improved communication capabilities. It includes a modified protocol that enables it to avoid being detected, even by 2nd generation enterprise firewall solutions. This lowers detection rates significantly compared to the already successful CryptoWall 3.0 attacks. As you can see, the message uses an on obviously condescending tone. It also includes an FAQ with answers directed to the victim. 3. 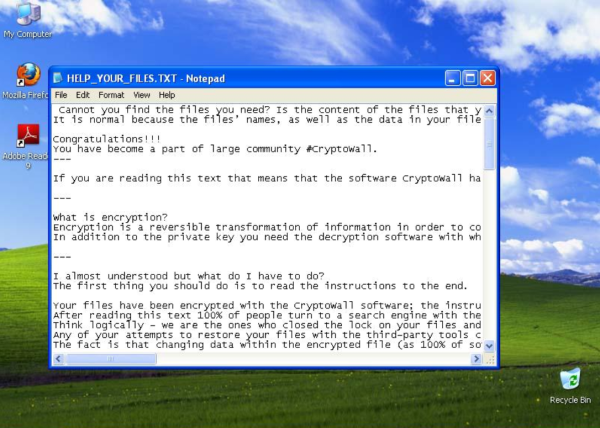 CryptoWall 4.0 now encrypts not only the data in your files, but the file names as well. This social engineering technique confuses the victims even more. It also enhances the pressure of wanting to retrieve their data as fast as possible. Consequently, this increases the “success” ratio of how many victims see the message versus how many pay the ransom. A clear business enhancement by cyber criminals. they use all triggers at their disposal (social and emotional) to increase their return on investment. 1. CryptoWall 4.0 continues to use TOR to direct victims to the payment instructions, just like CryptoWall 3.0. This way, they can ransom their data by paying for a decryption key in a way that doesn’t compromise the anonymity of the attackers. 2. Just like its predecessor, CryptoWall 3.0, this new strain also connects to a series of compromised web pages to download the payload onto the targeted system. These pages also tie the infected system into a botnet and use it to spread malware to other computers. 3. The infrastructure is unchanged. 4. Antivirus detection for this variant is, unfortunately, very low. 5. Like previous cases, CryptoWall 4.0 spreads via drive-by attacks and spam mails, which are still preferred as main attack vectors because of their low cost. What should I do if I get infected? Once your data is encrypted, unfortunately, there’s not much you can do. The encryption is very strong and most likely unbreakable. or pay the ransom to get a decryption key – please not that paying the ransom does not guarantee that you will get the decryption key and we do not recommend paying the ransom. 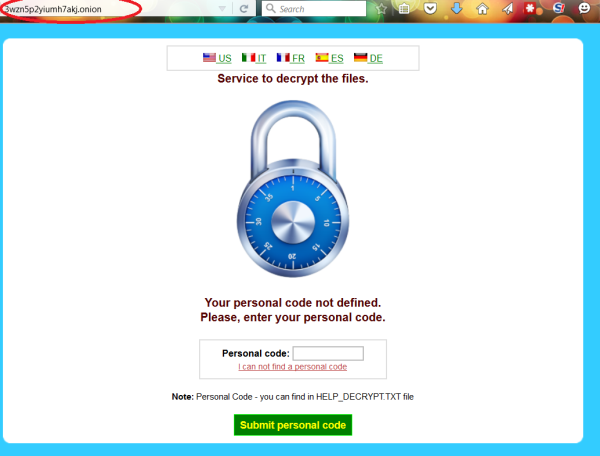 What should I do to prevent a CryptoWall 4.0 infection? use products that can detect and block recent ransomware / Cryptoware variants. Cyber crime has long transformed from a world of rebel attackers to a business field, albeit one with malicious objectives. And ransomware is an increasingly important segment of it. It wouldn’t be farfetched to say that we can expect Cryptoware threats to multiply and become increasingly sophisticated. The hard-hitting truth is that most Internet users are not aware that threats such as ransomware even exist, so they’re doing much to protect themselves. But that’s why we need to work together on this and help educate the others around us, be they family members, friends or small company owners, so we can all enjoy a safer web. Everyone love to get ideas only through this about commandpromptwindows10 and i bet you will get true perfect and useful knowledge to manage you windows 10 OS desktop features and functions. Ich weiss wer dahinter steckt und kann das hier nicht öffentlich machen.